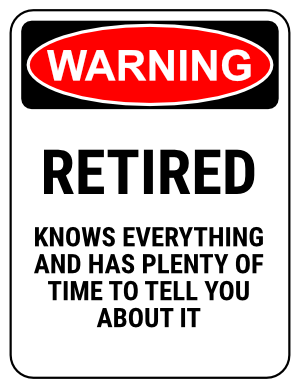 Is someone you know retiring or recently retired? Retirement gag gifts are a great way to send them off with a good laugh! To get you started, here are some of my favourite ideas for gag retirement gifts, along with some ideas for funny messages that you could write in an accompanying card. And we have a new collection of 40+ Retirement quotes and 30 Retirement wishes to help you find the words to wish them a happy retirement, so do check them out too! 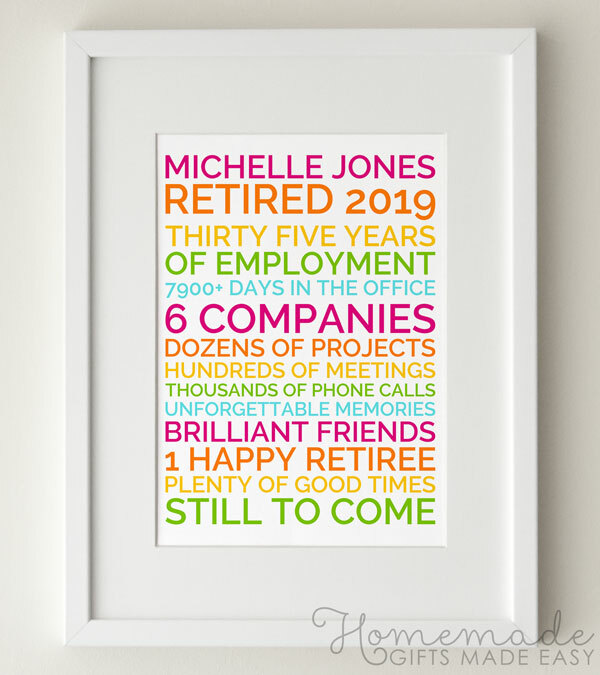 Make a personalized poster to celebrate their retirement! It's a fun, unique gift they can treasure for years. Plus it's dead-easy to make, using our online poster-generator. "We're all envious of you retiring, but at least we're younger! 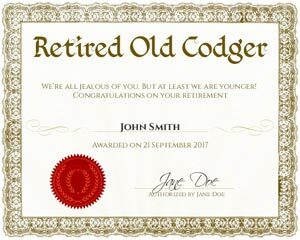 Congratulations on your retirement"
Give them some recognition for making it this far with an "Old Codger" merit award. Making the award is simple with our free online certificate template. Just customize the text and download, with no special software required. Or, if you have Microsoft Word on your computer, download the Old Codger Merit Award or the Certified Oldie Award in Microsoft word format. Buy a cheap toilet seat. Print a big photo of the person who's retiring. Put the photo under the bottom toilet seat, so it's framed in the seat and you'll see it when you lift the lid. On the seat itself, write "When you've got to go, you've got to go!" "Now that you're retired, you'll have so much time on your hands that you won't know what to do with yourself. So, just roll this handy die to help you decide what to do next". 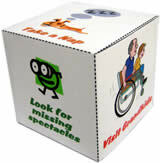 The options are play golf, go fishing, look for missing spectacles, drink tea, take a nap, play with grandkids. Download the template here , and assemble with these simple instructions . If you'd like to write your own text on the decision cube, you can download this Microsoft Word template . "As you get older, it's important to get your eyes checked regularly. Now you can do it in the comfort of your own home. 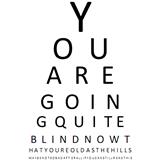 If you ever need reassurance that you're eyes are still in top condition, just use this handy eye chart." You can download a full-size pdf of the eye chart, or you can make a customized eye chart using our online eye chart maker tool. 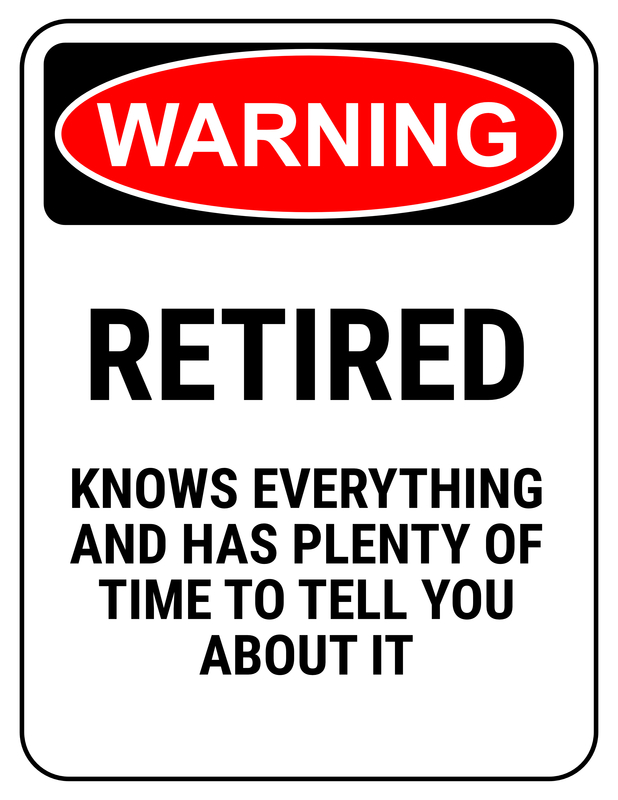 This retirement gag gift idea also works well as a 50th or 60th (or older) birthday gag gift. 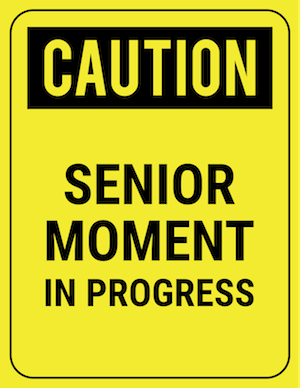 Caution, Senior Moment in Progress! "As a senior, you are a gold mine of wisdom. You have a lifetime of accumulated knowledge. The trouble is, you just can't remember any of it." Download the full-size printable sign , or see my other funny signs. 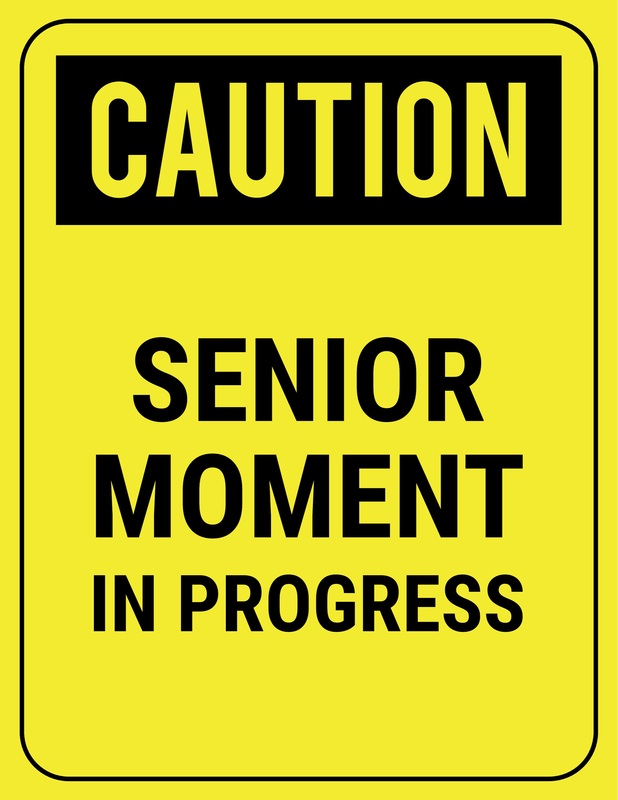 To be completely fair, I think that even some juniors have senior moments. The other day I got my car keys out to open the fridge door :-P And I haven't hit 30 yet! "Warning. Retired - knows everything and has plenty of time to tell you about it"
"While you were napping, Mrs Harper called to say that [your rocking chair has been repaired / she found your dentures / your prescription is ready / ...]"
Is the retiree a bit of a sleepy-head? Then this is a fitting gift. Download the pdf memo pad in large format or small format , or download the Microsoft Word document and customise it to your heart's content. "New fangled technology is okay, but old-school technologies have their benefits. Fred, Sally, and I chipped in to buy you this old-school hearing aid. It's strong as a rock, hard to lose, never runs out of batteries, and one size fits all. You should get good use out of it." "Now that you're retired, here are some of the things that you can look foward to". 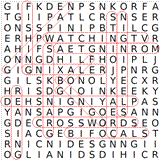 Download pdfs of the men's retirement word search or the women's retirement word search . Hidden words include things like golf, knitting, napping, watching tv, creaky joints, and bifocals. For the full list of words, see the mens solution or womens solution . You could also have a go at making your own word search , using the retirees favourite activities! "Now that you're retired, it's important to maintain your professional image and update your business cards. So, I took the liberty of making you some new ones." Use this Microsoft Word template and come up with your own silly designs, or do a google search for "business card maker" (without quotes) to find services that will let you design business cards online. "I figured that puzzle-solving would be a fun activity for you now that you'll have all this spare time. The guy in the store assured me that this expert jigsaw puzzle is guaranteed to keep you busy for hours and hours". Actual present is a bag of sawdust . Make sure you wrap it to look like a real puzzle. Sunday Take a nap. It's been a busy week! I'm retired. Your Not. Nah nah nah nah. 65 is the new... what was I saying? I hope my list of retirement gag gifts gave you some good ideas! For extra inspiration, make sure you also check out my homemade gag gifts page - some of the ideas there can also be adapted as retirement gag gifts. Looking for a gift to buy? Check out my article on the best retirement gift ideas. Check out our collection of retirement quotes to help you find the words to wish the lucky person a happy retirement.